Driverless cars are surely the latest buzz in the UK and international automobile sectors. In simple words, these are robotic cars which run automatically without human operators. GB had its first brush with driverless cars in 2016 and self-driven cars are expected to hit the road within the coming 3-4 years. According to experts, self-driven cars are expected to reduce the risks of accidents on road. Such speculations certainly pose a serious challenge to the overall insurance sector. 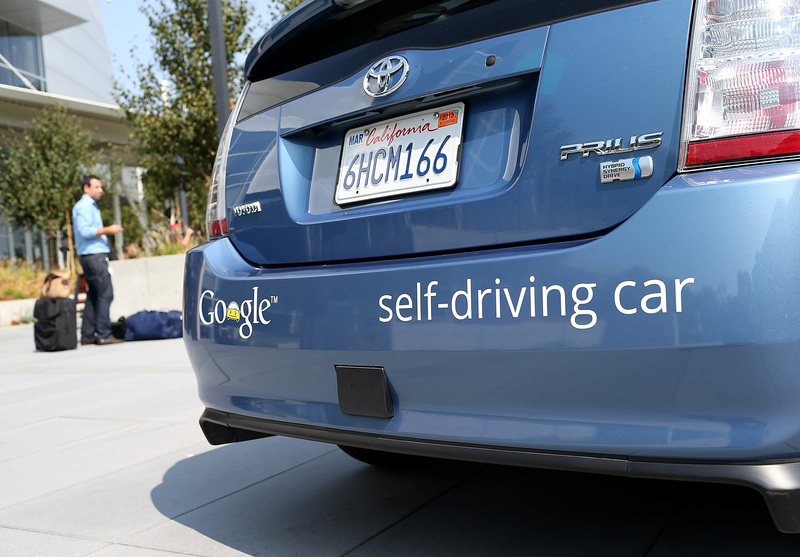 The question that comes up here is that what would driverless cars mean for insurance? Would that imply a sharp downfall of the whole car insurance industry? Or a steady emergence of automatic cars on the UK road would herald new modifications or diversifications in the insurance scene. This is one of the most inevitable consequences of driverless cars on car insurance sector. 90% of on-road collisions are caused from human error. Driverless cars are robotic vehicles and robotic equipments have shown to lessen risks of human errors by a great extent. So, introduction of automatic cars on road would naturally result in reduced threats of accidents and improved road safety. Lesser number of accidents leads to lesser volume of claims which will reduce the premiums by as high as 75%. Such a scenario indicates an increased chance of lesser need of 3rd party damage insurance. It could also mean complete disappearance of the particular insurance policy. Is the insurance industry concerned about driverless cars? Insurance companies are already aware of the emergence of automatic cars on road in near future. It has been estimated that by 2035, 1/4th of cars on road would be driverless options. Car insurance providers are certainly concerned about their sustainability in the presence of self-driven cars. It’s also true that they are deeply contemplating about the necessary adjustments to their existence business model to adapt to the future automatic trend. Now, autonomous systems in cars are not new today. A huge section of current vehicles are already fitted with some form of automatic systems like automated parking feature, adaptive cruise control & lane-departure warnings. In light of that, insurance providers have also started modifying their premium ratings algorithms. It signifies that the present industry sector is quite likely to modify themselves further as fully automatic cars start coming on road. It’s to note here that the conventional insurance policy still applies to cars at 2nd level of SAE automatic vehicle classification. The 2nd level refers to hands-off cars that come with automated accelerating, steering and braking. However, according to experts, it will take some time for full automated cars to come up in the mass market. So, the insurance companies still have some time to equip and adjust their insurance policies to cover the fully driverless cars in near future. Feet off- these cars are those with adaptive cruise control. Hands off- These cars will allow drivers to drive hands-free for short intervals. But then, the drivers have to be alert and man the steering in hazardous situations. Eyes off- These cars are supposed to hit the mass-market by 2021. Such vehicles will be more advanced than the previous stage and would enable the driver to take his eyes off the steering without losing control of the car. Brain off- These are full automatic cars that will run without human operators. They are speculated to reach the mass market by 2025. The UK government has announced the need of 2-in-1 insurance policy for the owners of driverless cars. The Transport Department will soon unveil the plans for the latest dual insurance products and those will provide coverage two ways. One when the motorist is driving the automatic vehicle and also when the vehicle is in the driver-less mode. According to the plan, self-driving cars will enable human operators to bestow complete control onto the vehicle itself when they turn on the driver-less mode. If the car causes a crash while in automatic mode, the claims would be paid by the insurance provider. The insurance company would further recover the costs from the car manufacturer. It’s because if an automatic car crashes, it would be mostly for faulty car hardware- that makes the manufacturer responsible for the accident. The dual cover is meant to avoid risks of confusion that might arise from having a separate driver-less vehicle insurance along with conventional vehicle insurance. According to officials from the transport department, the dual insurance policy is aimed to assure easy & fast compensation for innocent people into collision with automated car. Apart from product liability insurance (discussed above), there will be two other possible diversifications in insurance to cater to driverless cars. One is coverage for cyber-attacks and the other is monetization of car’s driving data. Driverless cars will be operated by remote technology which indicates the threat of cyber-attacks on these vehicles. If the hackers somehow get control of the car operation dashboard, they can monitor the automatic car easily for their own malicious purposes. Fiat Chrysler had to recall around 1.4 million cars couple of years back when its security researchers found that they could remotely control a jeep wheeling down a highway. Such an instance points to the risks of driverless vehicles being abused for nuisance attacks leading to congestion & even for terrorist activities. Thus, cyber liability coverage seems indispensable for self-driving cars and insurance companies certainly are drafting their schemes accordingly now. Insurers might work to monetize the driving data of automated cars and blend them with the insurance premiums. Such data could be utilized to extend discount vouchers of those restaurants or hang-out spots that the customers hit frequently. The bottom-line is that insurance companies would have to adapt and modify their existent car insurance policies to maintain their prevalence in the driverless car market in near future.